Speed kills. Speed and agility training in sport gives an athlete an edge on his/her competition. And the great news is that it can all be learned through technique training, proper drills, and hard work. If you’re wanting and willing to get faster, let’s dive (or sprint!) into the action. 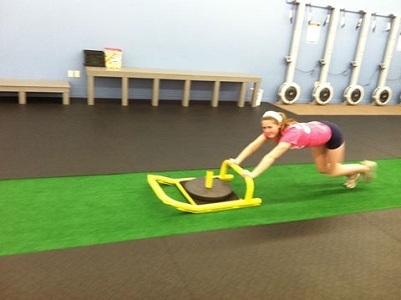 In this article, you will learn all about improving your speed and agility training. You will learn about stride rate, stride length, and proper running mechanics. You will learn several different speed improvement training drills, exercises, and programs that will enable you to reach new levels in your sport. So don’t be left in the dust. Dive into the article and find out all the in’s and out’s of improving your speed and agility. “Stride Frequency”: The number of strides taken in a given amount of time or distance. This is improved via technique drills, cycling, towing, sprinting and bungee work. “Stride Length”: The distance covered from one stride when sprinting. Strength and flexibility are the most important factors to improve stride length. All great speed and agility training programs should be preceded by a great General Warm-up and Dynamic Warm-up. A general warm-up is 5-10 minutes of exercise to begin elevating core tissue temperature, increase heart rate, and prepare the body for a workout or competition. Examples will include running, treadmill, jumping rope, elliptical, or bike. Should be performed before every workout, practice or competition, and should take approximately 5-25 minutes. The purpose of the Dynamic Warm-Up is to: Increase tissue temperature, improve flexibility, activate the nervous system, and help coordination and develop body awareness. It also lengthens fascia. What is Fascia? Fascia is a specialized system of the body (connective tissue) which plays an important role in the support of our bodies. Fascia is a very dense connective tissue which envelops every muscle, bone, nerve, artery, and vein as well as our internal organs including the heart, lungs, brain and spinal cord. When fascia becomes constricted, it becomes tight, creates great pressure on its structures and becomes a great source of tension to the body. Perform each movement approx. 10-20 seconds. Before a workout or competition, the emphasis is on a dynamic warm-up. After a workout, the emphasis should be on static stretching and myofascial release. Every time after you workout, practice or compete, there should be stretching that involves holding each stretch 20 seconds to 1 minute, and it should take 10 minutes minimally. Using a stretch rope, you should concentrate on your hip flexors, hamstrings, quads, calves, trunk and opening the chest and shoulders. The methods utilized to stretch are rope chest stretch, standing rotator cuff stretch, kneeling hip flexor stretch, cats & dogs, downward dog, lying rope hamstring stretch, lying rope lower back stretch, lying rope groin stretch, side-lying rope quad stretch, walking soldiers. Foam rolling (ie. The Grid or a foam roller) & a massage stick are essential to do on your own to promote fascia lengthening and recovery. This can be performed both before and after the workout. When assessing speed, one of the most critical aspects is acceleration. Acceleration is defined as the ability and time it takes for the body to reach Top End Speed. Arms swinging 90-120 degrees from waist to chin; drive elbows back! The drive phase happens right after you react to the starting gun. Your initial 8 -10 steps is considered your drive phase. The biggest problem seen with athletes in the drive phase is that athletes are ‘trying’ to stay too low. Keep the body angle at about 45 degrees and keep the heel of the recovery leg low to the ground during the first 8 strides. Drive the foot into the ground and explode powerfully backwards to create maximum ground reaction force. Drive your elbows backwards and keep your head down. You should be in a straight line from your heels to your head. One of the most challenging things to do is to stay relaxed while sprinting full speed. I often look at my athlete’s cheeks to see if they are running with “puppy dog” cheeks. If an athlete is too tense, their jaw will be tight and they will be tensing their entire body. If you see an athlete with a tight face, eyes squinting, teeth clenched, elevated shoulders, and tight fists, they are actually slowing themselves down. You have to let your muscles work for you and not against to maximize your speed potential. This is a tough concept to learn and MUST be practiced if you want get the most out of our speed. Relax and let your speed come to you! There is an often forgot about third component to speed and agility training – and it is quickness. Let’s look at the difference. * Incorporate hand-eye coordination into any of these drills for additional quickness/reaction time. For the sake of this discussion, I am going to concentrate on plyometrics to improve power (along with strength). Plyometrics is a system of hopping, skipping, jumping, or running that works on developing explosive power and maximally recruiting fast-twitch muscle fiber by eccentrically loading a muscle and quickly producing a concentric force. Plyometrics are exercises that enable a muscle to reach maximum strength in as short a time as possible. The faster the eccentric movement (the loading phase), the more stored elastic energy will be released, resulting in a more explosive jump. Develops fast twitch muscle fiber!!! Protein is step one; we want to increase protein synthesis. One should consume approximately 1 g per lb. of body weight. A protein and carb drink promotes glycogen recovery faster than a carb drink alone following a workout. This helps stimulate protein synthesis. Good nutrition controls insulin, glucagon, leptin, and other very important hormones. During sleep, the production of growth hormone, testosterone, and IGF-1 are at their peak. Growth hormone speeds the absorption of nutrients and amino acids into your cells and aids the healing of tissues throughout the body. 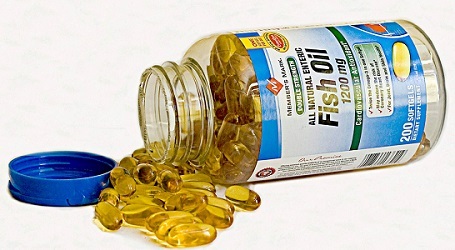 Testosterone and IGF-1 are anabolic hormones that are important in muscle growth and assist in recovery also. It is recommended that you get at least 8 hours of sleep when trying to optimize hormone-release and recovery. Now that you have the tools, it’s time to implement the game-plan and begin working towards improving performance and designing a great speed and agility program. If you combine training hard, the correct methodologies, along with ample recovery & regeneration techniques, it is then that you can maximize your strength, speed, and power development. GO GET IT!!! What to learn how to teach speed mechanics like the pros? Todd Durkin is an internationally-recognized strength and conditioning coach who works with numerous NFL, MLB, and NBA athletes. 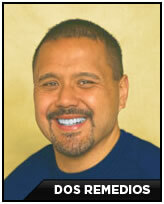 He is the owner of Fitness Quest 10 in San Diego, CA, and the author of The IMPACT! Body Plan. 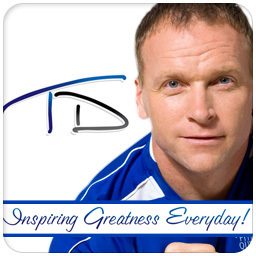 For more information, visit www.ToddDurkin.com or follow him on Twitter at @ToddDurkin. Coach Robert Dos Remedios is considered one of the best Strength Coaches in College sports. 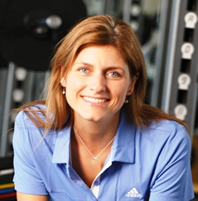 Sue is the former Head Physical Therapist for the Los Angeles Dodgers and current Director of Physical Therapy for the vaunted ‘Athletes Performance’ facility in Arizona. The ability of an athlete to become ‘elite’, ‘professional’ or ‘world-class’ is based almost entirely on what kind of development happened when they were young. … Only to be lacking in the BASICS of speed, agility and strength. Okay, the inventory is set and ready to move! This seminar was wildly successful and became an international smash hit. Not just because of what I taught about effective Speed & Agility Training, but because I revealed my own formula for creating weekend Speed Camps that routinely generated as much as $10,000!! in just a few short days. Coaches, is the mechanics of speed. And that’s because speed is seldom taught as a skill at all. more efficient from a movement perspective. in place that allows them to learn. and I teach that from both a lateral and linear perspective. "Hi Brian. 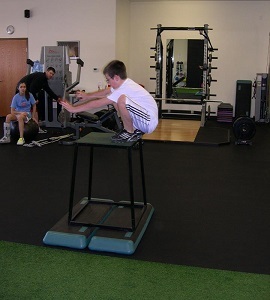 When training young athletes 8 – 12, what are the most important concepts of speed and acceleration to teach or stress?" If I were to look solely at speed training and acceleration development with pre-adolescent athletes, my suggestion would be strength. Strength is an often forgotten variable in the speed and power equation and quite a critical component to the matrix of developing young athletes. To decelerate well means that you are in a position to re-accelerate effectively. In essence, Closed Habit skills are taught in the beginning stages of learning a given movement or series of movements. For example, with my ‘Principles of Movement’ chapter and DVD in Complete Athlete Development (www.CompleteAthleteDevelopment.com) I show how to teach both linear and lateral deceleration skills starting with repeating the motion from a static environment. Proven strategies that work every time. young athletes ages 6 – 18.
with them along the way. I used to work endlessly on linear speed technique. That’s why I created my Principles of Movement. was nothing more than playing some random games. ability by the time they reached the teenage years. training styles and lives of countless Coaches worldwide. And all because I was in the trenches making mistakes. You can’t build a house on quicksand. 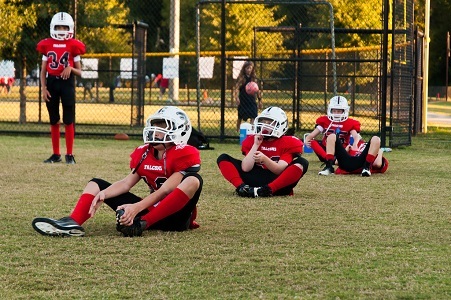 when it comes to injury prevention for young athletes. It’s all in building a foundation. fill them with as much athletic knowledge as possible. Just a full and complete warehouse of information. result of proper developmental training. doesn’t that make it automatically injury promotion?" Alwyn’s comment is meant to make you think. doesn’t seem to make any sense. How to create fun and engaging drills for each of them. the lives of countless Coaches, Trainers and Parents. 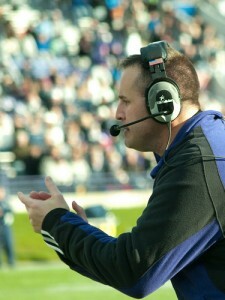 I’ve been coaching for 13 years now. that you need to know better? this year in the United States alone. 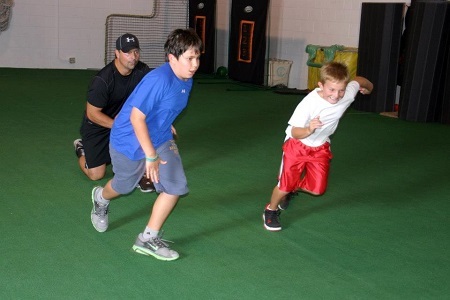 teaching speed and agility to improve youth athletic development. You start youth athletic development by Introducing ‘Skill Sets’. It is progressive and systems oriented. Notice how I coach as my athletes are working. I stop to show and explain what was right and what was wrong. It is a never ending process of correction and affirmation in youth athletic development. Now that is the culmination of a progressive speed training system. It doesn’t get easier than that and yet still, very few Coaches and Trainers do it right. I’m not going to bother you with ‘testimonials’ or a ‘sales ad’ here. Just click the link below and look hard at my Complete Athlete Development system. The ‘How To’ for developing young athletes from 6 – 18 years old. Including this Speed and Agility progressive system. The video above is an excerpt from the Youth Speed Training’ DVD in my Complete Athlete Development system. Do you have a system for Youth Speed Training? in the world to the success rates of your young athletes.